Relax and unwind amongst the beautiful Cornish countryside. 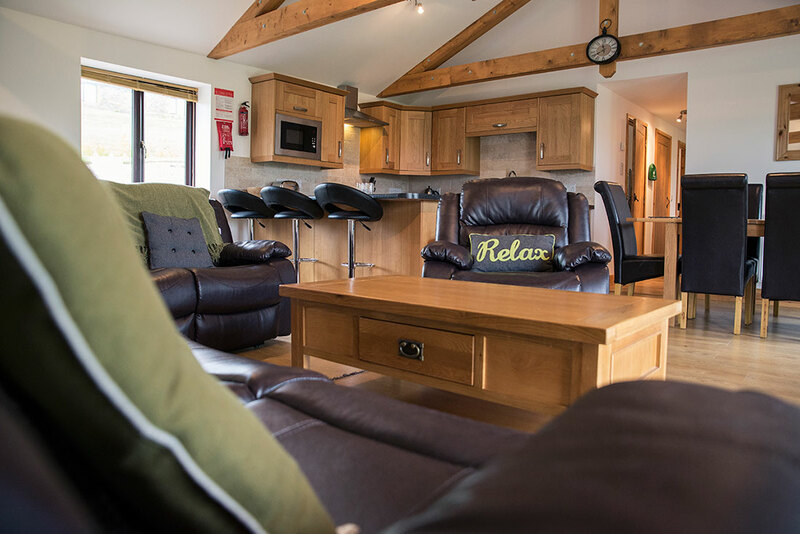 Offering luxurious and unique cottages, North Coast Holiday Cottages are the ultimate holiday retreat in a central location. Choose from 14 stylish purpose-built cottages and enjoy the glorious views with your family. North Coast Holiday Cottages have created a unique escape for families and couples. 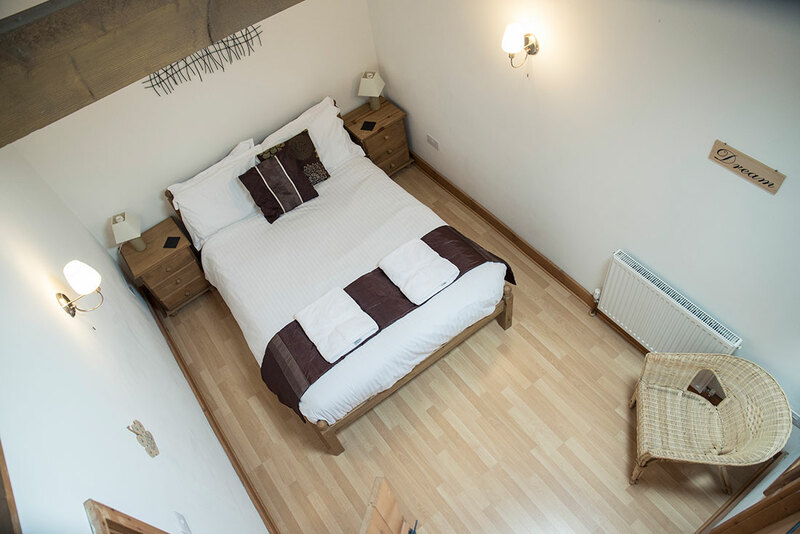 With 14 beautiful cottages of varying sizes to choose from, we’re sure you’ll have a wonderful and comfortable stay. Each cottage has its very own private patio area, complete with parking. The purpose built homes are family friendly, and there are plenty of open spaces for little ones to run around in. The interiors are comfortable, homely, and stylish; ensuring that you have a relaxing stay. 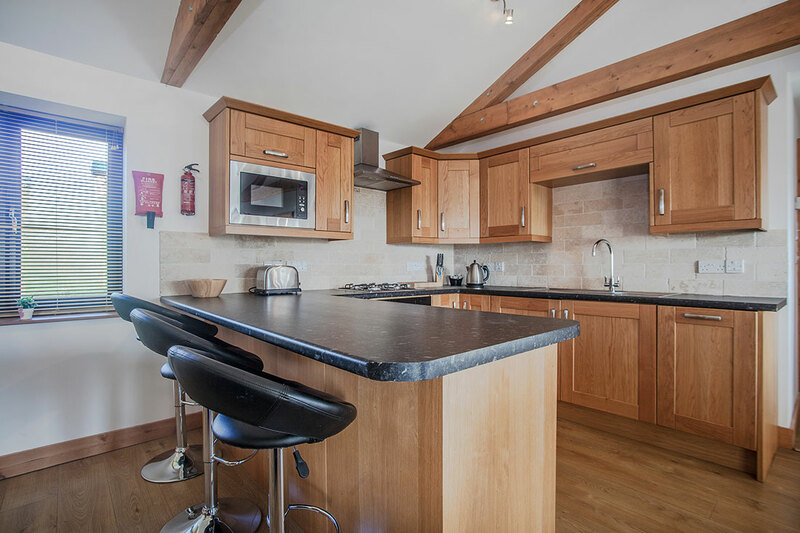 Cedar Creek is our magnificent new Four bed detached cottage with personal Jacuzzi We can accommodate up to 8 guests with two double rooms (one en-suite) and two single rooms with the option of zip and link to create two super king size beds. 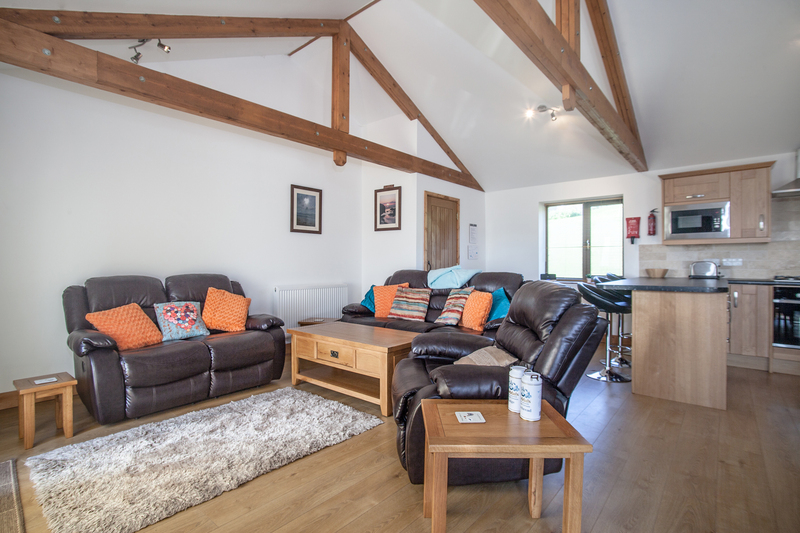 This cottage is family and pet friendly with up to two dogs allowed and a shared children's play area. Contact us for more information or to place a booking and be one of the first people to stay in this brand new cottage. We know that many people come to Cornwall for the views, which is why all of our cottages are South facing with large windows to really show off the scenery. The rolling green hills look glorious in all weather; the morning sun burns off the mist, and come evening the moon and stars light up the countryside. Many of our cottages also have hot tubs, which provide that extra touch of luxury and relaxation for you to enjoy on a beautiful day. North Coast Holiday Cottages’ location makes the most of Cornwall. Close to St Agnes Heritage Coast, St Ives, and Truro, you’ll easily be able to access some of the most popular spots in the county. If you want to embrace our coastal location, then you can try your hand at activities such as coasteering, surfing, paddle boarding and more. For those feeling less adventurous, there are plenty of relaxing walks and pretty towns for you to visit. At North Coast Holiday Cottages we’re always striving to give each and everyone of our guests the best stay they’ve ever had in Cornwall. We were delighted when our efforts were recognised at this year’s Cornwall Tourism Awards, where our team was Highly Commended in the Self Catering Category. To book your own perfect stay in Cornwall or to ask us any questions please give us a call on 07456 865 856 or email info@northocoastholidaycottages.co.uk and we'll be more than happy to answer any queries you may have. We look forward to welcoming you to Cornwall very soon! There’s plenty for everyone in Cornwall. From adventure sports, to peaceful walks and more. Enjoy a relaxing Cornish cream tea at a traditional café, or explore the beautiful and inspirational coastline. North Coast Holiday Cottages are close to three fantastic beaches; Portreath Beach, Porthtowan Beach, and Chaple Porth Beach. They all provide great space for families to enjoy the Cornish sunshine. A short distance from the cottages is The South West Coast Path; a 630-mile stretch route which is England’s longest waymarked footpath and National Trail. Get your walking boots on, and take in the views. Cornwall is home to some of the best produce and food in the country. There are plenty of delicious restaurants nearby for you to try. Alternatively, visit a local farm shop and cook up a storm in your cottage. We’ve joined up with local businesses to offer exciting activities that the whole family will enjoy. From surfing to coasteering, find your adventure and make the most of Cornwall's thrilling coast. We're proud of what we've created at North Coast Holiday Cottages, but don't just take our word for it! Here are just a few things that our guests have to say about their stay with us. An amazing place to stay on the beautiful North Coast of Cornwall. It's an ideal location for a short or a long break no matter what you want to do with your holiday! Being only a stones throw away from some of the best surfing and body boarding beaches in the country, this is an ideal spot not just for surfers but for everyone! The site is lovely and welcoming and the cottages feel comfortable and well equipped...the hot tubs are rather nice too! Overall a beautiful place to stay for everyone with great views! Our stay at Easter was amazing, helped (luckily) by 2 dry weeks. The park is in a lovely location, with very well maintained gardens and excellent, spotlessly clean accommodation and a brilliant jacuzzi. The staff were brilliant, all our needs were catered for, with beautiful local produce (bacon and sausage) as well as their very own hens' eggs! We would highly recommend that you give them a try, you would not be disappointed. Thanks a million to everyone at NCHC, we will be back! Another brilliant stay at North Coast. We even braved 2 dips in the hot tub. Refreshed and relaxed. Like us the dog didn't want leave and laid back down in the cottage when we'd packed the car ready for our journey home. Looking forward to returning again in June. We stayed there last week, an amazing cottage, the owners have thought of everything and it's so dog friendly. The hot tub was a highlight for me to soak in after a day out walking, so nice to relax with stunning views. I would highly recommend it to anyone. Already looking ahead to book again next year! Thank you to the staff and owners for all the thought and effort they put into making these cottages fabulous. First visit to Cornwall but it certainly wont be the last. Amazing accommodation, site is family friendly with a very relaxed atmosphere. Natalie, Mark, and family are very welcoming and their hospitality is second to none. Thanks for making our first visit to Cornwall one to remember.